Expat Welshman, educated (somewhat) in UK, left before it became fashionable to do so. Now a U.S. Citizen, and recent widower, playing with retirement and house remodeling, living in Delaware and rural Maryland (weekends). At my local convenience store today. The hitching post and buggy parking spots have been there for a while and are often used (sometimes just to leave a deposit as evidenced), the electric car charger is new and as far as I know, unused. 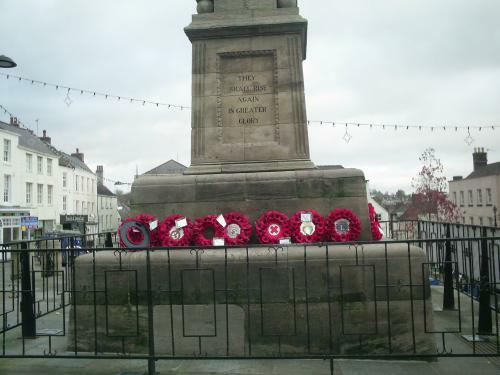 In the small town of Chepstow where I grew up there is of course a cenotaph, it’s fairly typical, a large obelisk on a square granite plinth bearing the names, listed in alphabetical order with rank and service identified. Yes, I know it’s rotten awful late but I have been busy with boat stuff, getting ready for Spring takes longer every year. As for the pictures all three were good but I will always give extra points for wildlife shots (very hard to get a good shot of wild things, young kids and babies included). So between Janus and Ara as finalists, sorry OZ that boar on the hoof may have made it. Raptors are favorites of mine (you may have noticed) so I will give Araminta the edge this time, the hawk was very special and that kind of opportunity comes along so rarely it makes it that much harder to take advantage and frame the scene. Well done Ara, worthy of National Geographic. Author Low WattagePosted on March 7, 2015 Categories Competition, Creativity, Photography8 Comments on March Picture Challenge – FOOD. It’s true, doesn’t matter if it is lumbago, rheumatism, arthritis, sciatica or a bout of the gout this is guaranteed to cure the lot in two days. Firewood, cut it, split it, stack it on the woodpile. 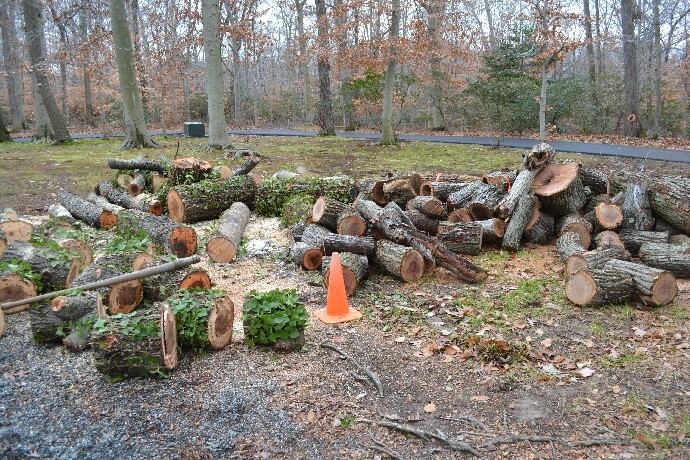 There are three trees worth here, a Hickory, an Oak and a Maple, all hardwoods, probably totaling about three cords when cut and stacked, seasoned it should weigh about six tons, wet as it is it probably weighs twice that. The big stuff with the dark heartwood is the hickory. Bitternut is the variety that grows around here and it is very heavy wood, and one of the best in terms of heat content for firewood. Cold here today, -20 C at 7am when I went to breakfast. Not often we get that kind of cold and it sounds like it might be around for a while. 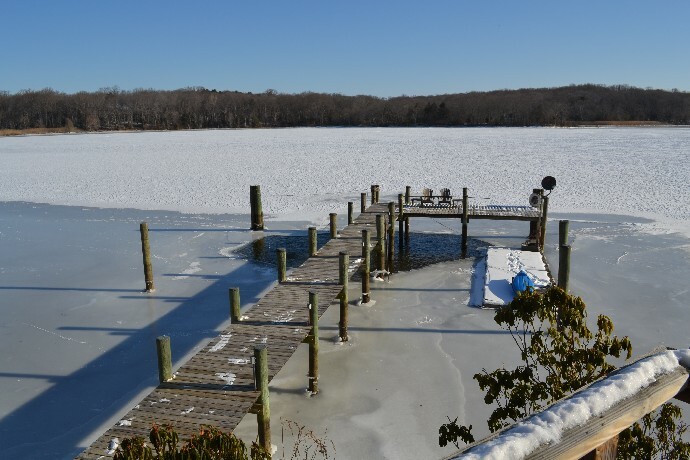 Creek is frozen right to the middle and the only open water is where the ice eater is working around the pilings. Author Low WattagePosted on February 20, 2015 February 20, 2015 Categories General, Global Warming Malarkey, Nature, Photography, Uncategorisable16 Comments on Gripping. Mud, Mystery, Murder, Manuscripts and Madness. I heard this story when I was a lad from my father and grandfather; no mention of it was ever made in school. The geezer in the muddy boots is Dr. Orville Ward Owen a medical doctor from Detroit, the date is May 1911, the place is close to the low tide mark of the River Wye in the shadow of the walls of Chepstow Castle. What led the man to this place was never explained to me back then, although what he sought was well known to my relatives, and their view was that he was wasting his time and money. He made several visits, one lasting longer than six months. In all twelve or fourteen shafts were driven into the river bottom, some deeper than twenty feet. All he found were some heavy timbers that were the remains of a Roman landing stage, these were not what he was looking for. Author Low WattagePosted on January 4, 2015 January 4, 2015 Categories General, History, Stories, Terminally boring, UncategorisableTags Bacon, Dyson, Feynman, Physics, Shakespeare12 Comments on Mud, Mystery, Murder, Manuscripts and Madness. September Photo Competition – Then and Now – Results. Well that was then and now it’s well past the closing time, but better late than not at all, so here goes. All entries responsive to the theme (including Janus with one both late and illegal from Hong Kong) and some with a slightly different take on it. I particularly liked Soutie’s notices (the changing world of announcements could be a subject with almost as much scope as butchered movie titles). 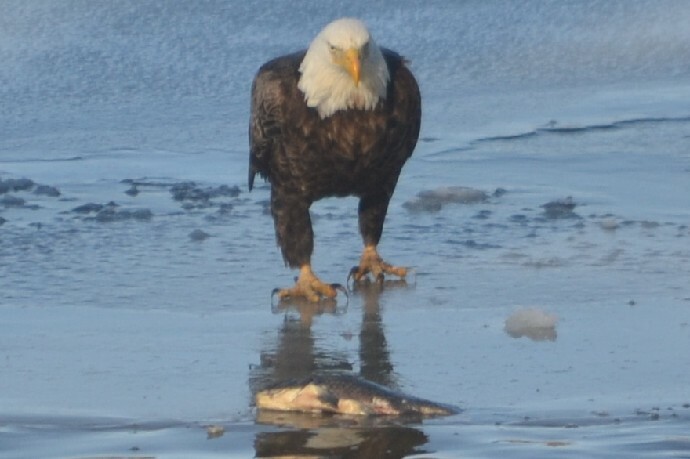 But the prize this month goes to Pseu, a couple of great photos, taken close to home. We tend to forget how much our immediate surroundings also change over time, just look out the window and try to recall how it was when you moved in all those years ago. Author Low WattagePosted on October 3, 2014 October 3, 2014 Categories Competition, Creativity, General, History, Photography6 Comments on September Photo Competition – Then and Now – Results. Author Low WattagePosted on September 8, 2014 Categories Humour, Nature, Photography17 Comments on Shark Attack, with pictures. Not for the squeamish.